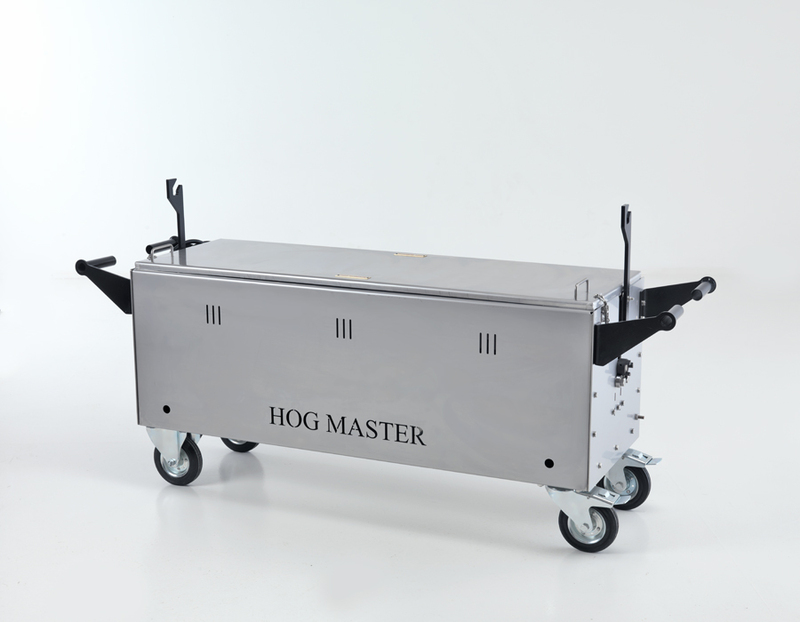 The Hogmaster Hog Roast Machine is the hardest working hog roaster in the UK! 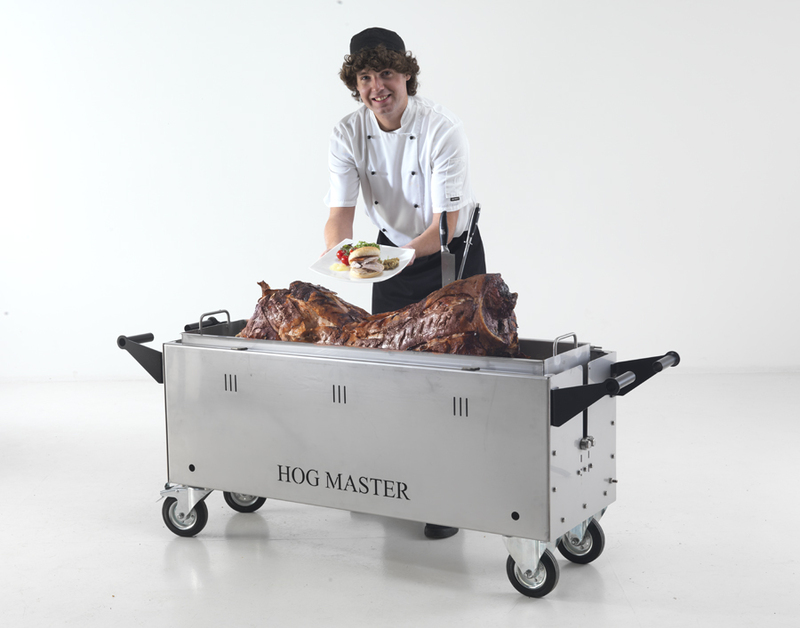 The Hogmaster is tough, durable and reliable, it can easily cook up to a 70 kilo pig. 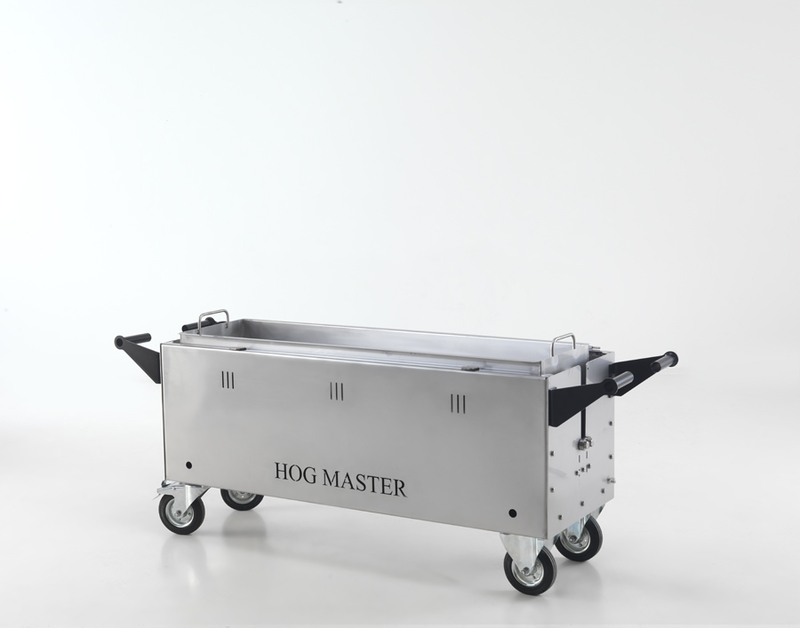 The machines have been designed with you the end user in mind and are extremely easy to use, you simply load the pig into the tray, score the skin with a sharp knife and pour on a jug of water and rub in some salt. 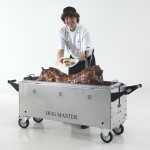 Then all that is left to do, is turn the machine on and leave the pig to cook. 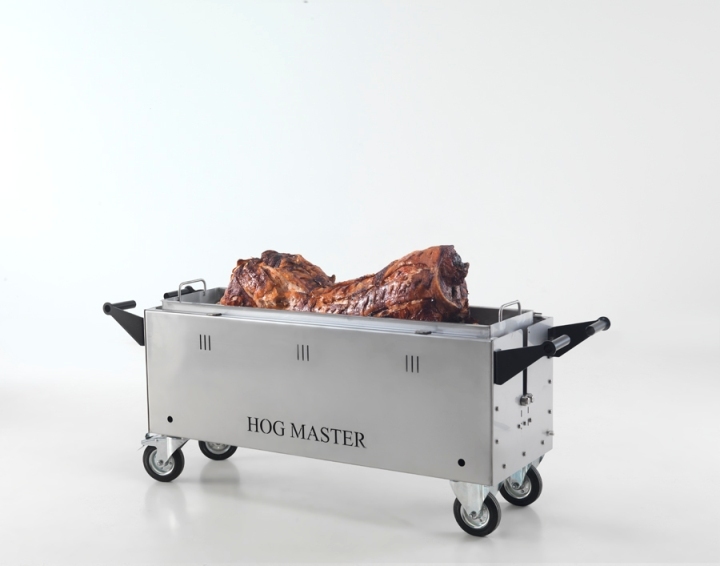 It can sit there and cook quite happily for 14 hours producing a succulent pig with crispy crackling and meat that just falls off the bone. 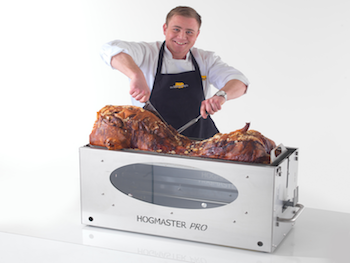 The general rule of thumb for cooking pigs is for every 10 kilos of meat allow 1 hours cooking time. However for succulent fall off the bone pulled pork, we would recommend increasing this to 1.5 hours or even 2 hours, for the best possible results and succulent pulled pork meat that literally falls off of the bone. 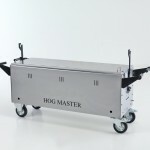 The Hogmaster will fit into most vans and estate cars and through most doors. You can even fit two machines, side by side in large 4×4 vehicles. 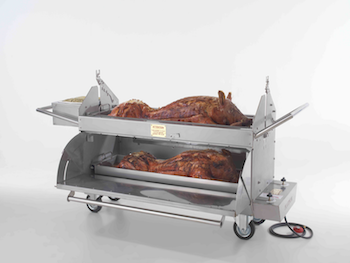 The machines are 180cm long, which can be reduced to 160cm by removing two handles if necessary. 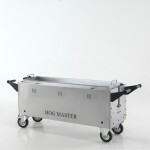 The width of each machine is 57cm and total height is 70cm, with a weight of 90 kilos. 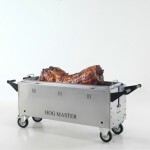 This model is a hog roast, none turning machine, but you can buy a BBQ attachment for this machine. All the machines and equipment are manufactured in our factory in Lancashire, UK. We are open Monday to Friday 8am-6pm and Saturday mornings by appointment. Feel free to pop in anytime and have a look at our machines and have a tour of the factory. Everyone who visits is always very glad they did. 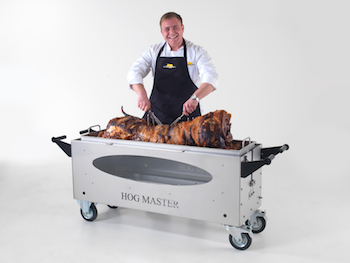 If you would like to buy a Hogmaster Hog Roast Machine, you can give us a call on 01452 899404 or fill in your details on the contact us page and we’ll come back to you as quickly as we can.